Burned or Injured by a Faulty Electrical System or Fuel Leak? Residential and commercial properties, including construction and mining sites that are poorly maintained, may pose significant risks for those who live and work in these treacherous environments. The law office of Angotti & Straface Attorneys at Law L.C. in Morgantown represents individuals who have suffered serious burns and injuries resulting from fires, explosions, and blasts as a result of someone else’s negligence or carelessness. Since 1952, our legal team has secured financial recovery for all types of injuries related to fire and explosion-related incidents, including faulty electrical systems and furnaces, non-functional smoke alarms, gas, propane, and fuel leaks, mining explosions, oil and gas rig explosions, fireworks, unsafely secured or abandoned explosives and ordnances, smoking materials, wood stoves, and other defective equipment. Injured in a Coal Mining or Fracking Accident or Explosion in WV? Unfortunately, we see many seriously injured individuals at our office who have become permanently maimed, disfigured, or disabled as a result of coal mining and fracking accidents and explosions. Employees in these professions depend on their companies to ensure that proper safety measures are in place. 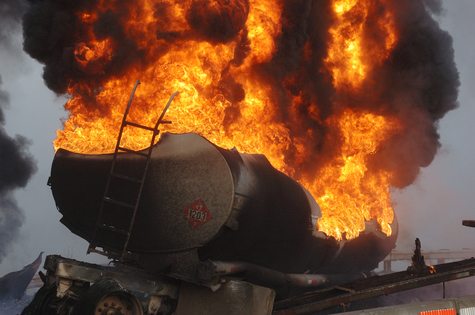 If properly managed according to safety regulations and laws, explosions and blasting incidents could be prevented at mining and fracking sites. Although many sources of ignition are present, explosions can be prevented via common sense measures including rock dusting, ventilation, and regular equipment maintenance. Our legal team has been successfully representing injured coal miners throughout West Virginia since 1952. If you have suffered a serious burn or injury, contact us. We can help you obtain financial restitution and compensation for your losses so that you can focus on recovering from your injuries. Blasting, or the controlled use of explosives to eliminate rock from construction sites, is commonly used throughout WV. The use of these materials is closely regulated by the Occupational Safety and Health Act. If you have been directly injured in a blasting accident, strict liability standards apply and no proof of negligence is required. No matter how careful the responsible party was, or how much care was exercised to keep you safe, you can still recover for your medical bills, injuries, and other losses that you have sustained as a result of the injuries incurred from the blast. If your injuries were caused indirectly as a result of the blast, we will help you determine whether or not the responsible party was negligent by causing an unreasonable risk of harm. Contact Angotti & Straface Attorneys at Law in Morgantown to schedule a free consultation to discuss your personal injury claim at: (304) 292-4381. We offer personalized legal representation for clients in Charleston, Huntington, Parkersburg, Morgantown, Wheeling, and throughout West Virginia.